And now here’s the interview! Question: Congratulations! Of Fire and Stars will be out in roughly six months. What’s on your to-do list between now and then? Answer: There are so many things on my to-do list! I still have a few ARCs of Of Fire and Stars that I’m planning to give away over the next few months on Goodreads and Twitter. In September I’m hoping to visit Chicago to celebrate the launch of my dear friend Paula Garner’s debut novel, Phantom Limbs, which is one of the most incredibly real and heartbreaking YA contemporaries I’ve ever read. Irish Banana will be hosting a blog tour for Of Fire and Stars in late November, and I’m also traveling to Atlanta, Georgia for a conference just before the book releases. Then I have a launch party to plan for early December, which I will be doing in Austin, Texas with Amy Tintera, the lovely author of Ruined. So, just a few things to do and places to be! 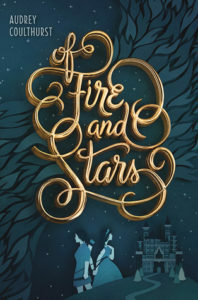 Question: Everything about Of Fire and Stars—from that epic title and gorgeous cover to the intriguing synopsis—sounds amazing! And readers are especially excited for a Sci-Fi/Fantasy YA book with LGBT+ characters. Can you discuss, in your own words, the significance of this story and why it needed to be told? Answer: Fortunately we have begun to see some YA SF/F with LGBT+ characters in recent years. My inspiration for Of Fire and Stars came from writing the book I had always wanted to read. I was a big fantasy reader as a teen, but never came across a fantasy book with a female protagonist who fell in love with another girl. After reading Ash by Malinda Lo, it occurred to me that not only could I write a YA fantasy in which two girls fall in love, but I also had the opportunity to create a world without homophobia. Part of the beauty of writing secondary world fantasy is that writers are not obligated to create worlds that have the same social structures or prejudices that are present in ours. When I was a teen it would have made a big difference to me to spend some time in the pages of a fantasy book that felt familiar in the ways I loved—the medievalesque setting, magic, and political intrigue—but also showed me that it was possible for a girl to fall for another girl in that imaginary world. Question: The main characters in Of Fire and Stars are Princess Dennaleia (Denna) and Princess Amaranthine (Mare). Neither girl strictly identifies with one LGBT+ identity. Did you want this to be ambiguous for a reason? Do you have an idea in your head regarding how Denna and Mare identify? If so, will you reveal this your readers at some point? Answer: I am so glad that someone asked this question. The topic of labels seems to be rather divisive—they are very important to some people, and sometimes seeing identities explicitly addressed on the page can be very helpful to individuals who are still grappling with theirs. The main reason I chose not to have either girl identify with a particular LGBT+ label on the page was because first and foremost, I deliberately created a fantasy world in which homophobia does not exist, which means that the characters’ understanding of their sexuality does not directly correspond to what it might in the real world. Also, the relationship between the two leading characters grows from the ways they challenge and bring out the best in each other, and the attraction follows from that. It’s less about gender or sexual orientation than just meeting the right person. All that said, if Denna were a modern teen she would likely identify as lesbian—part of her journey through Of Fire and Stars is the slow realization that she is not attracted to men. On the other hand, Mare would probably identify as bisexual. She had a previous relationship with a boy, but there is no doubt that she also grows very attracted to Denna over the course of the book. Question: How much of yourself and your experiences went into Of Fire and Stars? Answer: A lot of my own experience went into Of Fire and Stars. Like Denna, I didn’t have much context in which to think about my sexuality when I was younger. Denna has known since childhood that she was to marry a prince, so why would she ever think about who she might be attracted to? There is no point. It takes meeting Mare for her to start to question what she wants, which is very similar to the way that my relationship with my first girlfriend unfolded. I did not choose a label for myself until long after that relationship ended—I did not know how I wanted to define my sexuality, but I knew without question that I loved my girlfriend at the time. I wanted to write a book that reflected that experience. Question: In early May, you posted on Twitter, saying that your “queer princesses in Of Fire and Stars would be big fans of” the ‘Give Elsa A Girlfriend’ campaign. So, which of your princesses do you think would win Elsa’s heart, Denna or Mare? Answer: If Mare wasn’t in the picture, I love the idea of Denna and Elsa together. Both have been raised to be queens, and with their opposing gifts of fire and ice they would be an unstoppable power couple. Answer: There are SO many bizarre google searches I’ve had to do. I did a lot of reading on weapon forging techniques for Of Fire and Stars. I also spent a lot of time learning about burns and stab wounds in far more detail than I ever wanted to! For another work in progress I actually interviewed a leading expert on obsessive-compulsive disorder. She was fascinating to talk to and incredibly helpful with my book research. Answer: For fantasy involving girls who like girls, Ash and Huntress by Malinda Lo shouldn’t be missed. More recent SF/F releases I loved that included queer female protagonists are The Abyss Surrounds Us by Emily Skrutskie and Shallow Graves by Kali Wallace. For readers interested in stories featuring other GLBTQIA+ identities, I highly recommend checking out the website lbgtqreads.com. It’s a great resource to find books with protagonists that represent all the colors of the GLBTQIA+ rainbow across lots of genres. Answer: I do most of my writing at home on the couch, so I always need my lap desk, a glass of water, and my Siamese cat Tazo curled up next to me. Answer: I picked up some exciting ARCs at BEA in May, so I’m working my way through those. Also on my to-read list is The Fifth Season by N.K. Jemisin, and I’m super excited to sneak preview some 2017 books authored by my 2016 debut author friends. Question: I know Of Fire and Stars is still months away from publication, but I have to ask… Are you working on anything new?!? And now for the giveaway! One lucky winner will receive a copy of The Abyss Surrounds Us by Emily Skrutskie, along with some Of Fire and Stars swag. Giveaway is US only. To enter, fill out the Rafflecopter below! Audrey Coulthurst writes YA books that tend to involve magic, horses, and kissing the wrong people. 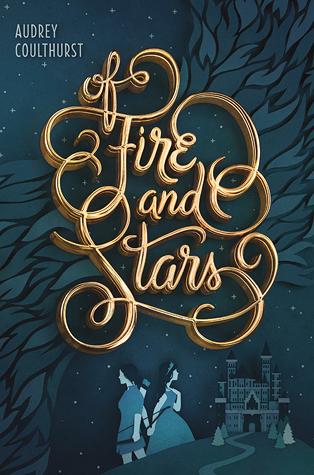 Her debut novel, OF FIRE AND STARS, will be published by Balzer + Bray/HarperCollins on November 22, 2016. When she’s not dreaming up new stories, she can usually be found painting, singing, or on the back of a horse. 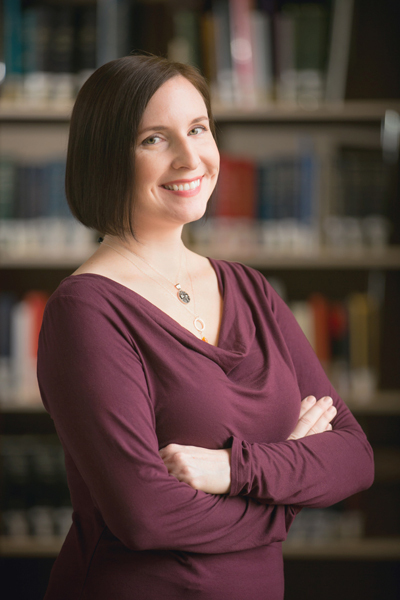 Audrey has a Master’s in Writing from Portland State University, is a member of SCBWI, and studied with Malinda Lo as a 2013 Lambda Literary Foundation Fellow. She lives in Santa Monica, California. Find out more about Audrey and her books at audreycoulthurst.com or follow her on Twitter at @audwrites. can’t wait for more lgbt sci-fi & fantasy books. I absolutely adored the abyss surrounds us. I can’t wait to grab myself a copy! Thank you so much for sharing! It is nice to see some LGBT friendly fantasy. OF FIRE AND STARS looks amazing! I especially love the cover and adore the incorporation of LGBTQ+!